While working in the Creighton Mine in Sudbury and starring for the company ball team, Phil Marchildon was convinced to try out with the International League’s Toronto Maple Leafs in 1938. The hard-throwing hurler would strike out seven of the nine batters he faced at the tryout and would report to the Leafs training camp the following spring. 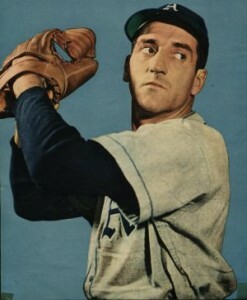 After two seasons with the Leafs, Marchildon’s contract was purchased by the Philadelphia A’s. In his first big league season, he recorded 10 wins for the lowly A’s, managed by Connie Mack. For an encore, he would record 17 wins and establish himself as the team’s ace in 1942. Poised to join the pitching elite, Marchildon was called for military duty and would serve in the Royal Canadian Air Force from 1943 to 1945. In August 1944, his plane was shot down and he was taken as a prisoner of war. He would spend nine months in a German prison camp. 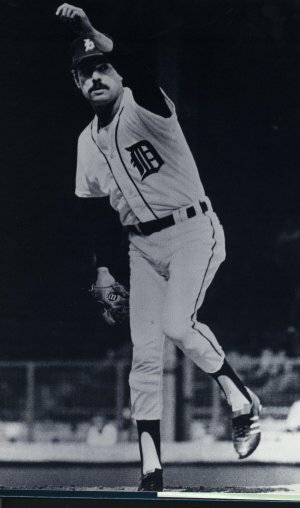 Upon his release and return to North America, Marchildon was almost immediately penciled into the A’s rotation. Though still traumatized by the war, Marchildon would register 19 wins for the A’s in 1947 – a season many consider to be one of the best ever by a Canadian pitcher. 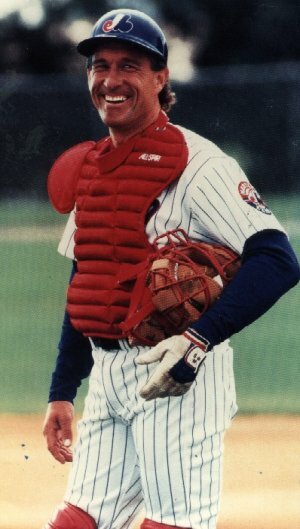 In all, Marchildon won 68 big league games and completed 82 of his 162 major league starts. 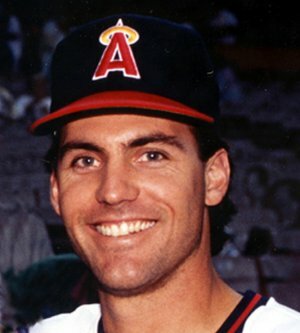 To view Phil’s season by season Major League career statictics click HERE.